Molly had to undergo surgery after eating some kinetic sand. A DOG owner is warning others to be vigilant after some kinetic sand almost cost the life of her beloved dog, Molly. Kinetic sand, which contains a bonding agent to make the sand stick to itself, has become a popular toy and is widely available in stores and online. Belinda O'Shea said she kept her five-year-old son Archie's kinetic sand in a sealed container and hadn't expected that while they were out, nine-year-old Molly would get into the tub and eat its contents. Molly recovering in vet hospital. But one day the family found Molly, a staffordshire terrier, had done just that. At first seeming fine, it was only when the much-loved pet had gone off her food and started vomiting that the family realised something wasn't right. 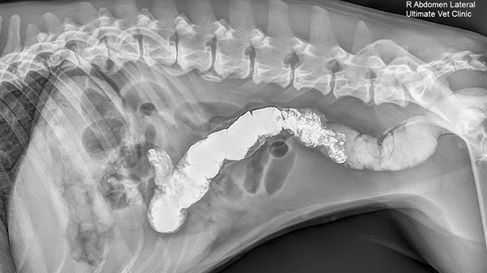 "An x-ray found her intestines were blocked up with something, so then they left her there overnight on the drip" she said. "Whatever was in her wasn't coming out." 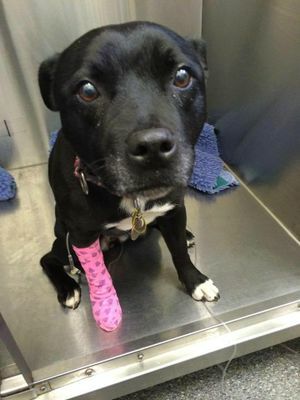 Mrs O'Shea said her vet figured out the properties of the kinetic sand were causing it to reshape every time Molly's body tried to remove it, meaning the pooch would have to undergo emergency surgery. "They basically had to squeeze it out of her intestines," she said. While Mrs O'Shea, from Melbourne, had to part with $3000 to save her pet's life, her biggest concern was raising awareness about the dangers of kinetic sand. "Dogs do silly things but I want people to know to be really careful," she said. "I just want people to be really careful if their dogs get into it and to get them to a vet if they do, or keep it away from them." Mrs O'Shea said she had contacted the makers of the kinetic sand to warn them about what had happened. "I emailed the company and let them know and they said they'd possibly look at changing the warnings," she said. 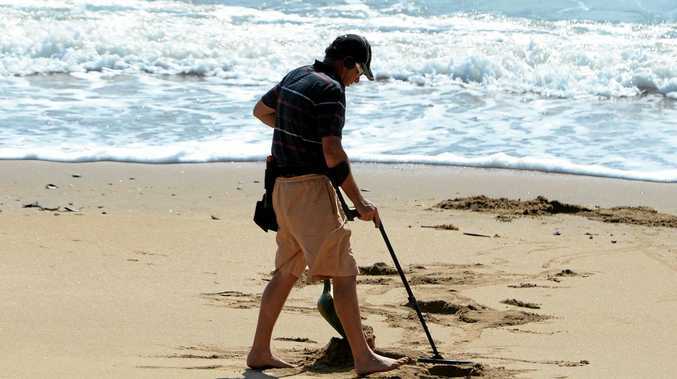 Mrs O'Shea's vet Bob Cavey, from Ultmate vet Clinic in Narre Warren, said though he'd seen items including knitting needles and plumbing pipes in dogs' bellies before he'd never encountered anything like the kinetic sand. "I've been doing this for 25 years and I've never seen this," he said. "The stomach just can't push it through. "I had to milk the stomach and push the kinetic sand through, it took about two hours." Mr Cavey said Molly had lost a lot of weight over a couple of days and her body had started to shut down. "This dog that ate it lost a lot of weight over a few days," he said. Mr Cavey said dog owners should be vigilant, and parents too. "If it's blocked up a dog then you'd have to watch your children very carefully that they're not ingesting any of it," he said. Mrs O'Shea and her son Archie have thrown out their kinetic sand and won't be buying more any time soon.